Chill Moody has been a poet and lyricist since performing—and winning—weekly school talent shows in the 3rd grade. But it wasn’t until later, when he overheard his older cousin bragging about his rhymes, that he truly felt like he could take the next step and make music into a career. Below, we learn more about how Philly’s legendary music scene has helped Chill Moody carve out his own path, and why mentorship is such an invaluable part of his past and future. You grew up in the Philly music scene. Who were some of your biggest influences? I grew up when the Roots were on the rise, there was neo-soul flowing out of Philly, and Roc-A-Fella records was running the industry anchored by Beanie Sigel a slew of Philly lyricist. All of it was very influential to the way I’ve carried out my career. A lot of people who are winning now are doing so because of the era I grew up in, if for nothing else, just because of how inspirational it was. Why is it important to follow your passion and find your own way of doing things? The minute I lose the passion, I’ll lose focus and this won’t work anymore, so it’s very important to follow and follow through on what I’m passionate about. What was one of the biggest struggles you’ve faced in your career? My biggest struggle was finding confidence. Early on, I thought I had it, but what was validating my confidence was just not enough once music went from a hobby to a profession. 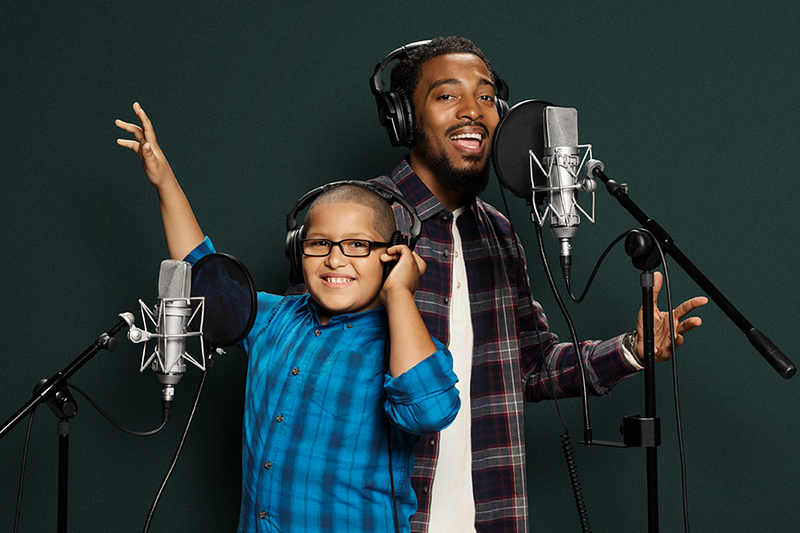 How do you help inspire others through music and mentoring? A lot of that inspiration comes from sharing stories. Finding those commonalities, either in the struggles or the successes, and being able to talk about them knowing that there is someone you look up to that is doing it the same way you did. Click here to learn more, and don’t forget to visit Honda at the Philadelphia Auto Show to meet Chill Moody (January 27th), enter to win a Rodney McLeod autographed football (January 28), and meet Heather Mitts (February 3rd), as well as BBBS Independence Region CEO Marcus Allen and his team to find out how you can help local kids drive their dreams.